How I met him. Or as many want to know, why I met him. Are not the questions that deserve discussion. Sumit Jain, better known as CEO and Founder of Common Floor looks just like your next door friend probably. Even interacts like one. He is funny, resourceful and of course ready to help you through all his multi-faceted suggestions. But your next door friend is not CEO of Common Floor. So what is different about this IIT- Roorkee grad? 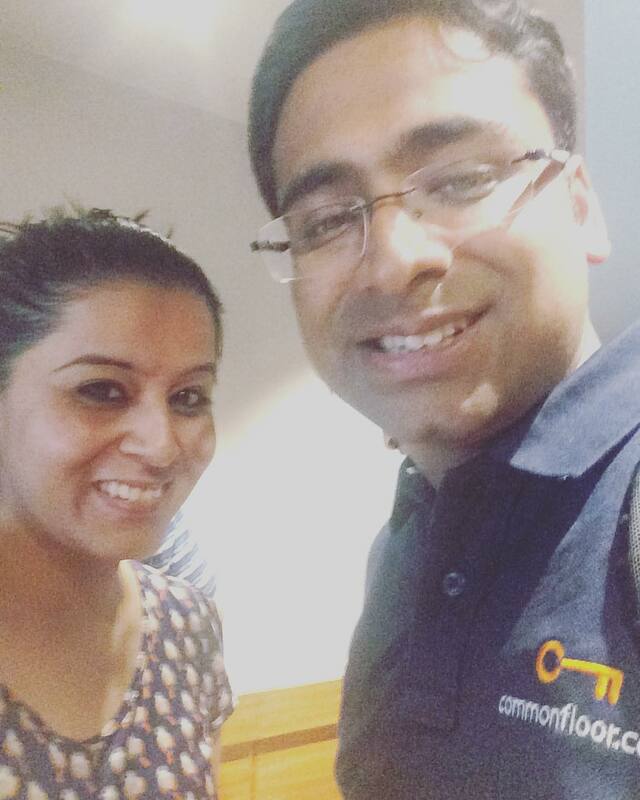 What happened when I met Sumit Jain? A casual coffee meet up turned out to be a vortex of ideas around startups. From Uber to Ola to Flipkart and obviously a lot of common floor, views at the table were being voraciously exchanged. And so much candidness in the tones that one could say a bunch of friends turned up randomly at a cafe after years of not meeting. But what did I learn from Sumit that day? He quit his job at Oracle not because common floor had happened to him. But because ten ideas had burst upon him. And of course an insane urge to do something of his own. In fact he went on to pitch an investor presenting three of these ten ideas! No surprise to anyone that he didn’t gain any funding out of this 🙂 But he realised a rather important thing. He had the attitude to be an entrepreneur. Any startup discussion today has to touch upon this debate. And so how could we not engage ourselves in this as well. Through his personal experience he stated that if you have worked out a successful financial plan while being bootstrapped then funding becomes an important cog in the wheel to move ahead. Burning money can not be the only way. In his own words, his sense of security when it came to owning a job went on for a while. Be it family or society’s mental make up. It took him a good one year to quit. And that too after he had secured and admission into MS based on a two year bond with Oracle. Of course again he needed the job as a go to option. But only after he scored a zero in first semester did he finally quit his job! At which I teased him, that so he eventually did become a drop out. And he laughed. What were the hurdles while building common floor that he faced? He was pitching an idea to revolutionize real estate in India when he himself had not purchased property. To many of his clients (especially property dealers) this point needed some explaining. And given the present entrepreneurs also fall in this bracket, they are often creating conversations in a sector they have themselves not been adequately part of. At this I again though to myself, attitude and not idea matters here. All through the discussion his passion for building better products came through. He emphasised it many times that our country needs entrepreneurs to build more products. Services are still predominantly winning the larger proportion. At this he told us that while building common floor he built Facebook applications to fund ways while being bootstrapped. And boy I loved this one! He explained that creating a vision mission for your own self is one of the best things you can do for your idea. Your own team may not remember them by heart but the idea or culture of it gets resonated in their work and helps. Also while answering questions to outsiders referring to your vision and mission in head becomes an easy way to navigate conversations. Also zeroing in on that thirty seconds pitch is quite a task and takes years at times! Many other conversations happened as well and it is not possible to capture them all! But this is my best attempt to grasp the essence that the meeting was that day.